The vast quantity of planets and planetary candidates identified by NASA's Kepler spacecraft has revealed an array of systems. Some have Jupiter-sized planets close to the Sun, while others show only a handful of planets. Almost none resemble our solar system. In an effort to establish how the Sun and its planets compare to the newfound systems, a pair of astronomers suggest that our early solar system may have contained as many as four planets orbiting closer to the Sun than Venus, and that a series of cataclysmic collisions left Mercury as the last one standing. 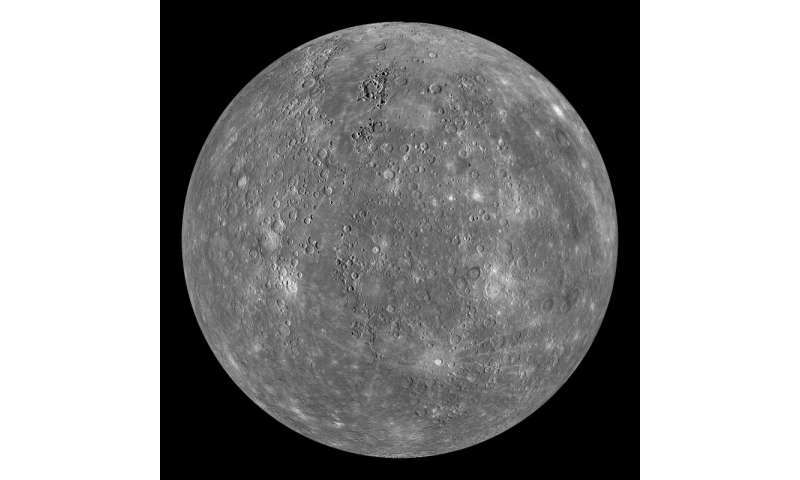 "One of the problems in the Solar System is that, by Kepler standards, Mercury is very far from the Sun," planetary scientist Kathryn Volk, of the University of British Columbia, told Astrobiology. But although only a handful of observed systems contain STIPS, Volk thinks that they may have once dominated—and that the Sun could have been one of the STIP systems whose original inner planets were destroyed. "If STIPs readily formed, maybe they're found around all stars, and destroyed around 90 percent of them," Volk said. Volk presented the results at the winter meeting of the American Astronomical Society in Seattle, Washington. They have been submitted for publication in the journal Astrophysical Letters. Instead, Kepler mostly discovered planet types that our solar system lacks. With bodies like "hot Jupiters" (Jupiter-sized planets that orbit their star in only a few days) to "super-Earths" (massive rocky planets far larger than our own), exoplanet systems have a knack for surprising observers. Of the 1,019 confirmed planets and 4,178 planetary candidates identified to date, only one system resembles our own with terrestrial planets near the star and giant planets set at a distance. 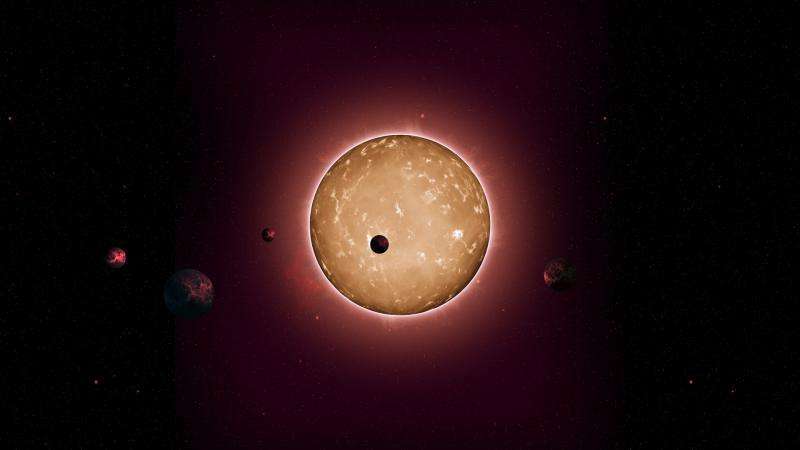 "We have no idea why our solar system doesn't look like these others, and we would love an answer," planetary scientist Kevin Walsh, of the Southwest Research Institute in Colorado, told Astrobiology Magazine. Walsh was not involved in the research, but applauds Volk's work in matching the Solar System up to other planetary systems by using models to search for unseen planets it may have held in the past. "Partly, we have never thought about it before. We always tried to match the planets that we saw, and not some other systems of unseen planets. Now we see them around other stars, so it's a great question to ask." "If every star once had a system of STIPs, then it would mean that the modelers have been missing the boat on planetary formation for a long time," Walsh said. "We have always been trying to build models just to get our four rocky planets, whereas if this idea is right, then we have long ignored the possibility of also forming three to five planets as big as or even much bigger than Earth inside the orbit of Mercury. This would be extremely cool!" If this was the case, it would mean that Earth wasn't a random outlier in the systems of planets, as it appear to be from casual observations. Instead, it would fit in and not require a special explanation as to its existence. If the Solar System—and by extrapolation Earth—is rare, it could have implications for the abundance of life in the Universe, but if it follows the same formation processes as other planetary systems, then it is no longer an quite as unusual. At the same time, Solar System models have turned up too much material to account for a single Mercury. In order to form a single planet in Mercury's orbit, simulations require an unlikely gap—an artificial edge—in the dust surrounding the young Sun that stretches nearly halfway to Earth's current orbit. If the gap stretched all the way to the star, as most scientists assume, the disk would contain far too much material. If most planetary systems contained STIPS when they formed, that would mean the early Solar System could have once hosted them, as well. 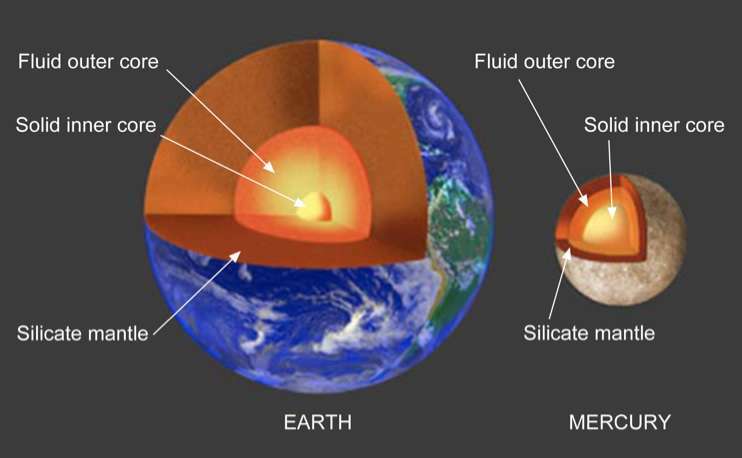 According to Volk, this would eliminate the artificial edge to the inner disk and explain the iron-dominated planet. 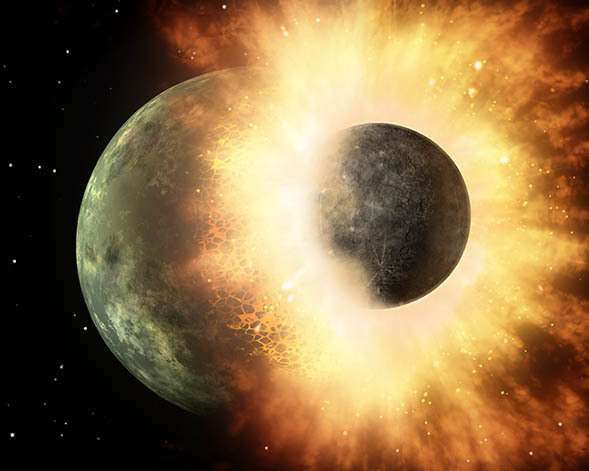 Collisions would also account for Mercury's dense composition. "It is not rare to have a pair of planets go unstable and others not feel anything," Volk said. "In a highly destructive regime, we're left with one survivor," Volk said. Mercury, it seems, is the reigning champion. For an explanation of the opposite of the Copernican principle -the solar system as very special indeed- please see the recent book "Lucky Planet" and the older "Rare Earth". The solar system (and the Earth-Moon system) has a lot of unusual quirks and this may be a signature of the "weak anthropic effect". While our solar system may be typical for systems with intelligent life form. There are few reasons to think it is typical of all solar systems. We had near extinction level events every 100 million years or so, allowing life forms plenty of time to develop but to also to remove dominate life forms that are ideally adjusted to its environments (stagnate). Our solar system is located in a large stable galaxy, but away for the ANG, but not so far out that we have an adequate availability of heavy elements, but not in a large cluster that might expose us to AGN's from other galaxies. So I think Earth is special, the only question is, is it 1:10^6 or 1:10^12 special ? @Birger, stanlwong: I don't think Rare Earth bayesian models has any bearing on observations whatsoever. One can rig the likelihood for life (or intelligent life) to be anything between 0 and 1. Unlike Drake's equation they are not testable until you fix your set of parameters. And then they are found to be erroneous. Every factor of the original "Rare Earth" set has been shown to be wrong (Jupiter more harmful than not having any; large moon inconsequential or even harmful (leads to tidal lock and so chaotic climate due to axis changes); et cetera et cetera. Torbjorn: yes, it'd be a gate model (log-linear) and since we haven't fixed the parameters, I think it's high time we get out there and get some measurements. [As if they'd need to ask.] Either the neighbors are very discrete or there's some fine-tuning to get the right conditions (whatever the heck they turn out to be). For that reason we cannot know whether we're typical for other solar systems, either. We only have one data point there, too. We know of a lot of exoplanets. But we have no detailed/complete picture of any other planetary system. We really don't know whether intelligence would have arisen one way or another (it is A survival trait. Not necessarily THE survival trait). There may be many pathways to intelligence. It's just too early to tell. Unlike Drake's equation they are not testable until you fix your set of parameters. Drake's equation is also not really testable as long as one or more parameters are guesswork (and there are 3 or 4 of those in there). In any case it's not a real equation but an agenda for a conference in equation form (for fun). Never meant to be taken seriously.